Dr Dona Martin quizzes kids in the Castlemaine Market Building. A La Trobe University research project will determine the educational benefits of the Castlemaine State Festival. Parent Nat Aitkin takes part in the research with Dr Dona Martin. Researcher Dr Dona Martin was working to capture the impact the festival had on many of the 1200 local children to pass through the festival this week. 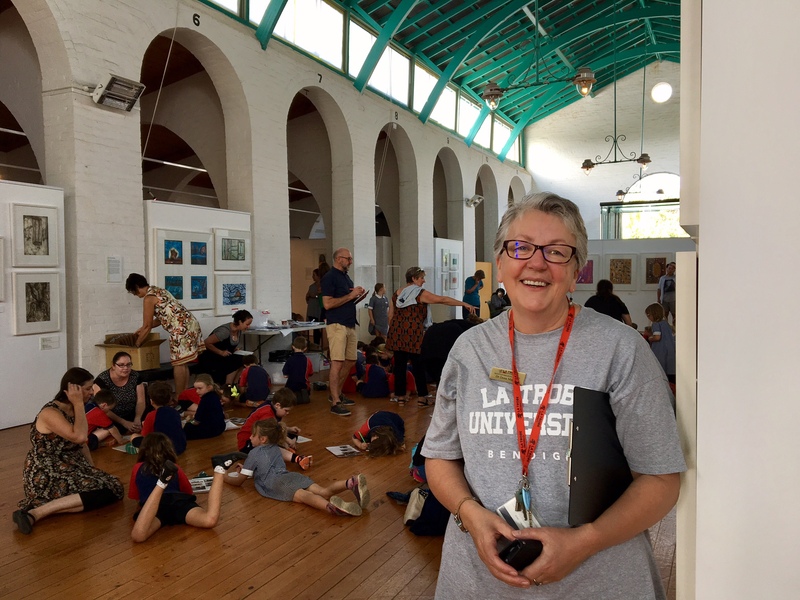 “We want to know if the kids feel like art is an integral part of life here, and more than anywhere, you’d think they would feel it in Castlemaine. There’s certainly a real vibe,” she said. 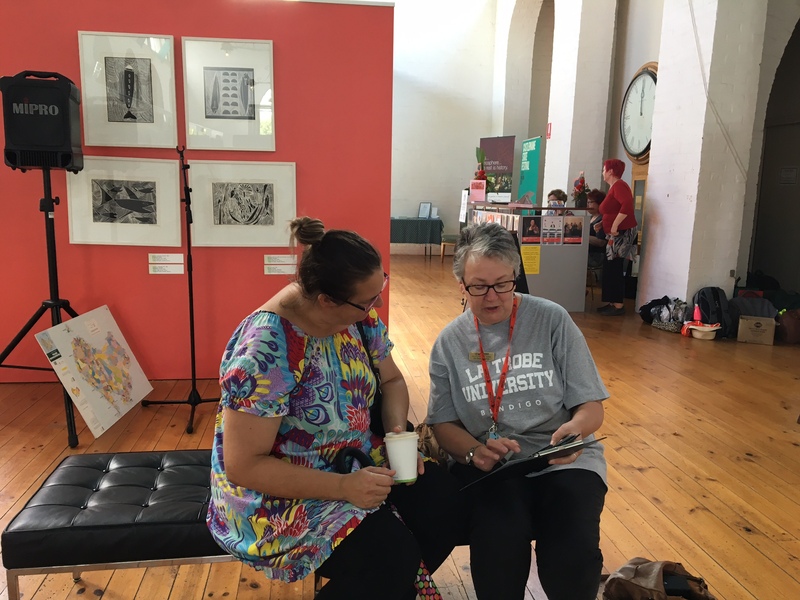 The bi-annual festival is a whole-town celebration of visual and performing arts, music and literature, with La Trobe being the higher education partner. Dr Martin was using online questionaries for parents and older children to answer, and posters and stickers for younger children to express their feelings about the festival. “It’s really about trying to get the kids to feel part of something bigger and to see what a significant impact art can have on their lives,” she said. “With the older kids we’re asking if, after taking part in the festival, they’d be interested in working in a creative field. Parent Nat Aitkin, of Muckleford, took part in the research while her Castlemaine North Primary School prep student, Annie, drew with her classmates from the floor of the Market Building.